Although he tried to make the world more sensible with his pilot-wave model, he also argued that complete clarity is impossible. He reached this conclusion after seeing an experiment on television, in which a drop of ink was squeezed onto a cylinder of glycerine. When the cylinder was rotated, the ink diffused through the glycerine in an apparently irreversible fashion. Its order seemed to have disintegrated. But when the direction of rotation was reversed, the ink gathered into a drop again. 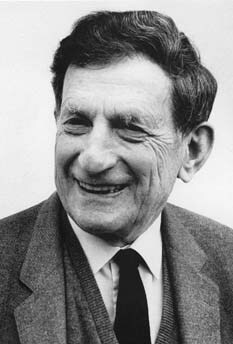 Bohm rejected the claim of physicists such as Hawking and Weinberg that physics can achieve a final “theory of everything” that explains the world. Science is an infinite, “inexhaustible process,” he said. “The form of knowledge is to have at any moment something essential, and the appearance can be explained. But then when we look deeper at these essential things they turn out to have some feature of appearances. We’re not ever going to get a final essence which isn’t also the appearance of something.” More. As his interview with Horgan shows, he did not even think that one can reduce everything to mathematics. He believed in an “implicate order” but doubted that it could be captured by the methods of science alone. It would require a unification of art and science. He might be right. Much seems stalled just now. See also: Can there really be a Theory of Everything? Wouldn’t it really be a theology of everything? Can a theory of consciousness help us build a theory of everything? “hidden variables don’t exist. If you have proved them come back with PROOF and a Nobel Prize. John Bell theorized that maybe the particles can signal faster than the speed of light. This is what he advocated in his interview in “The Ghost in the Atom.” But the violation of Leggett’s inequality in 2007 takes away that possibility and rules out all non-local hidden variables. Observation instantly defines what properties a particle has and if you assume they had properties before we measured them, then you need evidence, because right now there is none which is why realism is dead, and materialism dies with it. Excerpt: Many realizations of the thought experiment have indeed verified the violation of Bell’s inequality. These have ruled out all hidden-variables theories based on joint assumptions of realism, meaning that reality exists when we are not observing it; and locality, meaning that separated events cannot influence one another instantaneously. Ironically, Bohm, (although he seemingly detested a ‘mechanistic’ view of reality in which art, and particularly the artist himself, was left on the cutting room floor), Bohm, with his pilot wave theory was himself fighting against letting the ‘artist’ back into the picture of science. 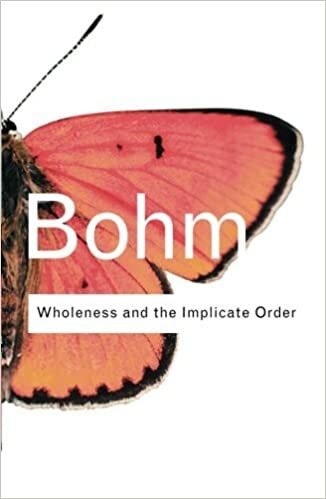 To be specific, Bohm, with his deterministic pilot wave theory, was fighting against the instrumentalist approach of quantum mechanics in which the free will of humans directly contradicts the deterministic view of reality that Bohm himself seemingly detested. Thus, Bohm’s preferred view of art and science someday ‘merging’ into a ‘artistic spirit’ was a view of reality that he actually, apparently unwittingly, was fighting against with his, now falsified, deterministic pilot wave theory. Catholic physicist Stanley L. Jaki says a theory of everything is possible. Who cares? This is not even philosophy, it’s feelings. Do the work, show results, demonstrate and quit yapping senselessly. Shut up and calculate was the mantra about QM for a long time. Efforts to understand what it means about reality are not worth the effort. Not everyone believed that was the proper perspective, though. Read what again? And what do I misunderstand??? I was just making a statement about how there is a disagreement among physicists, especially 50 years or so ago, that trying to interpret QM was not worthwhile: the calculations worked and that was sufficient was the attitude. Excerpt: we cannot construct an ontology that makes God dispensable. Secularists can dismiss this as a mere exercise within predefined rules of the game of mathematical logic, but that is sour grapes, for it was the secular side that hoped to substitute logic for God in the first place. Gödel’s critique of the continuum hypothesis has the same implication as his incompleteness theorems: Mathematics never will create the sort of closed system that sorts reality into neat boxes. Rather, the transcendent reality on which our universe depends must be something that can exhibit agency – a mind that can choose among the infinite variety of mathematical descriptions and bring into existence a reality that corresponds to a consistent subset of them. This is what “breathes fire into the equations and makes a universe for them to describe.” Anything else invokes random miracles as an explanatory principle and spells the end of scientific rationality. Here are a few more thoughts on what the true ‘theory of everything’ actually turns out to be. Yet, ‘the Now’, as philosophers term it, and contrary to what Einstein (and Jaki) thought possible for experimental physics, and according to advances in quantum mechanics, takes precedence over past events in time. Excerpt: “It proves that measurement is everything. At the quantum level, reality does not exist if you are not looking at it,” lead researcher and physicist Andrew Truscott said in a press release.